Historically, crude lenses were made by cutting glass spheres in half, resulting in reading stones that could be used to magnify text for readers with failing eyesight. Since then, the field of optics has advanced so extensively that we’re now able to stare deep into space, closely observe microbial activity, and use internet as fast as light itself. Lens basics: Concave or convex? Did you know the word “lens” comes from the Latin term for lentil? That’s because the classic double-convex lens has almost the same shape as a lentil. So what exactly does a lens do? A lens transmits light by means of refraction, re-focusing the light to form an image. Simple lenses have two surfaces that are either concave (curved inward), convex (curved outward), or planar (flat). Depending on the lens’s shape, when light passes through, the lens will bend the light in very consistent, predictable ways. Concave lenses spread light that passes through them. As such, they’re known as negative, or divergent, lenses. Convex lenses, by contrast, focus light after it passes through the lens. As such, they’re conversely known as positive, or convergent, lenses, and have many practical applications in photography, vision correction, and magnification. In fact, the lens of your eye is doing the same thing—bending light as it passes to your retina. Surfaces that reflect light without altering the light’s physical characteristics are known as mirrors. This is referred to as specular reflection, and the image that is produced is almost identical to the actual object. Most of us are familiar with casually checking our appearance with a classic plane mirror in the bathroom, but other types include curved mirrors that magnify or morph the resulting image; dielectric mirrors with treated glass; and even mirrors that reflect other types of radiation like radio waves. Mirror technology can be complex, but an excellent example for you to reflect on is a car sideview mirror. Sideview mirrors are oftentimes constructed with a slight convex shape (just like the lenses mentioned above) to help provide drivers with a wider viewing plane. That’s why you’ve probably noticed the standard “Objects in the mirror are closer than they appear” phrase commonly written on many automobiles’ side mirrors. In general, applied optics continues to make contributions to medicine, especially in the areas of optometry and microsurgery; entertainment, including high-definition projectors and televisions; and astronomy, with the advent of deep space imaging. But maybe you’re like us, because we’re still amazed that eyeglasses and contact lenses make it possible to have perfect 20/20 vision. You eye doctor has precision equipment to determine just the right lens shape and thickness to adjust for the uniqueness and changes of your eyes’ lens. That’s why a regular eye exam is so important. 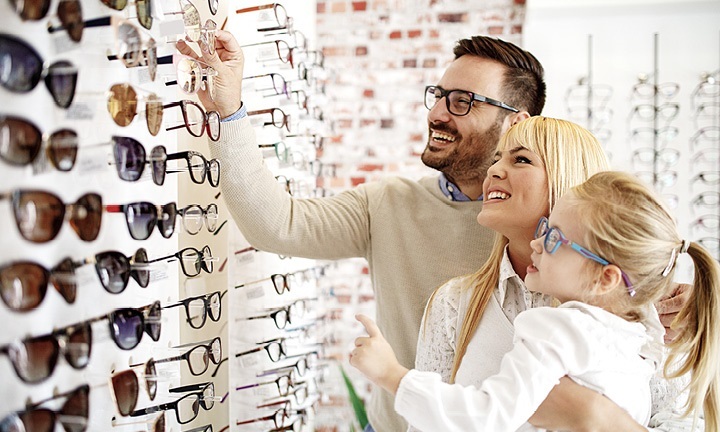 Find out how VSP Individual Plans can help you save on your next exam and pair of glasses. What Eye Problems Should I Take Seriously?